Taking a cross-disciplinary approach, Suzanne Romaine's main concern is to show how language and discourse play key roles in understanding and communicating gender and culture. In addition to linguistics--which provides the starting point and central focus of the book--she draws on the fields of anthropology, biology, communication, education, economics, history, literary criticism, philosophy, psychology, and sociology. 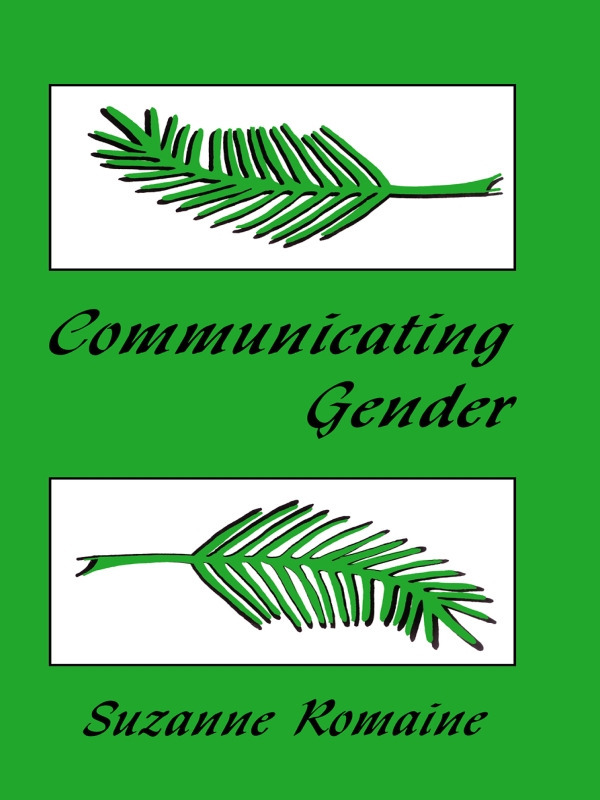 The text covers the "core" areas in the study of language and gender, including how and where gender is indexed in language, how men and women speak, how children acquire gender differentiated language, and sexism in language and language reform. Although most of the examples are drawn primarily from English, other European languages and non-European languages, such as Japanese are considered. The text is written in an accessible way so that no prior knowledge of linguistics is necessary to understand the chapters containing linguistic analysis. Each chapter is followed by exercises and discussion questions to facilitate the book's use as a classroom text. The author reviews scholarly treatments of gender, and then uses her own data material from the corpora of spoken and written English usage. Special features include an examination of contemporary media sources such as newspapers, advertising, and television; a discussion of women's speculative fiction; a study of gender and advertising, with special attention paid to the role played by language in these domains; and a review of French feminist thought, particularly as it relates to the issue of language reform. What’s Gender Got to Do With Grammar? Language Reform: A Msguided Attempt to Change Herstory?